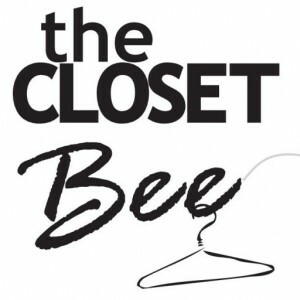 The Closet Bee Is Locally Owned & Operated! The Closet Bee opened its doors inside the showroom of our sister store, Kitchen Cabinet Worx in 2004. Our goal has always been to inspire, educate and serve you, our Greensboro, High Point and Winston-Salem friends and neighbors. There are many creative, cost-effective ways we can help make your ideal closet, office or laundry room, pantry and garage a reality. Our mission is to provide you with professional designs, quality craftsmanship, and competitive pricing – keeping customer service our top priority. Visit our showroom to see our closet display, color choices and the many accessory options we offer. Our showroom offers a wide variety of choice cabinetry, impeccably helpful accessories and decorative door hardware. Our professional designer will do a free, in-home evaluation to determine your storage and organizational needs. We then create a custom design in the form of a 3-D rendering for your review and approval. We’ll work with your contractor, builder, architect, or interior designer to bring your ideas and ideals to life! Decide what is important to make sure your closet provides the solution. Use long, medium and double hang areas to maximize closet space. Add a Valet Rod, belt rack, tie rack and a scarf rack to your closet. We just completed this stunning master closet renovation job near Brassfield Road area in Greensboro. Nice to see our closets in this local publication. They are considered the “hidden gem” in this house that was recently put on the market.. 🙂 As a side note, the couple selling the house had me design new closets for a different house they recently purchase on the other side of town. Gotta love repeat business! New master closet make over. Since the client has dark oil rubbed bronze finishes throughout the house she requested the wardrobe rods and accessories in the closet to match. No problem! Here’s a small walk in pantry just completed in Summerfield. This client wanted a long countertop type space to store all her kitchen appliances. It turned out great. Got one of those small reach in pantries with wire shelving? We can replace it with sturdy solid adjustable shelving! I’ve added an aluminum shelf stiffener to the front of these shelves for extra support due to the wide span to ensure no sagging! Another great new master closet with lots of drawers and a linen storage cabinet just finished in Whitsett, NC.